L: Harrison flanked by high school students in Atlanta at Save a Girl Save a World’s 8th Annual Retreat; Bottom: Photo at retreat. 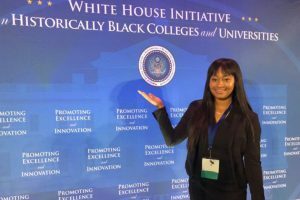 Jasmine Harrison ’22 made headlines after being accepted into 115 colleges and universities across the nation and amassing more than $4.5 million in scholarships. Now the Illustrious Belle Scholar is making the most of her time at Bennett. Harrison said she appreciates the exposure Bennett students get to successful leaders through A.C.E.S., or the Academic Cultural Enrichment Series, and other oncampus events. 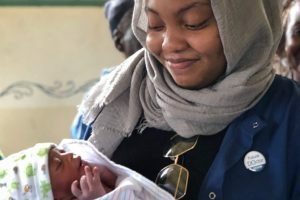 “The people Bennett brings to campus to talk to us, like the representatives of the Black Lives Matter Movement and Congressman John Lewis, are nothing short of astonishing,” Harrison said. “Our campus is small, but there are always big opportunities at Bennett.” Harrison was no stranger to Bennett when she arrived in the fall. Her older sister, Deanna Armstrong, is a 2015 Belle. Moreover, Harrison participated in the College’s Summer Entrepreneurial Program before classes began. 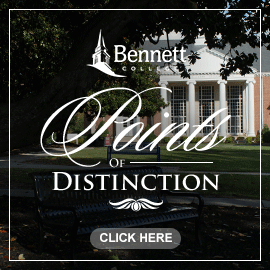 “What I like most about being a Bennett Belle is the unity on and off campus,” Harrison said. “We protest together, advocate together, laugh together and no one gets left out.” Harrison lives in the Dr. Johnnetta Betsch Cole Honors Residence Hall and came to Bennett after graduating from the Academy at Smith with a 4.0 GPA. Her saga was well publicized in area media outlets and in The New York Times. 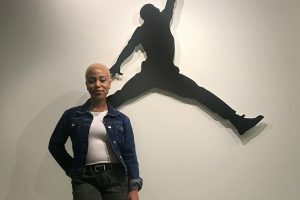 She and her mom were approached by The Ellen DeGeneres Show about an appearance; however, an ankle injury prevented them from traveling to Burbank, Calif., for the show. 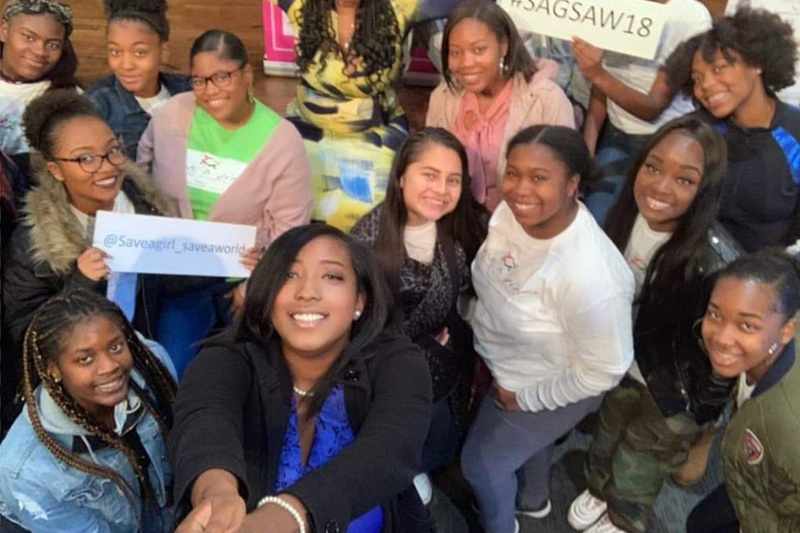 Even so, Harrison was recently featured on Essence Magazine’s Facebook page, and she spoke to high school students in Atlanta at Save a Girl Save a World’s 8th Annual Retreat.